With more than 40 years experience in the music industry as a player, composer, recording artist, educator, performer and business owner, Brian is well placed to answer queries from students, players and music enthusiasts worldwide. A former full voting member of the National Academy of Recording Arts and Sciences, Los Angeles, Brian holds a Masters Degree in Music Technology and a Masters Degree in Business (awarded with Distinction). In 2001, the artist was presented with a Licentiate in Performance (Honours) from the Australian Society of Musicology and Composition in recognition of achievements in the fields of recording, composition and musical performance. Having played the Bari (USA) brand of synthetic reeds on all saxophones exclusively for over four decades Brian represented Bariwoodwinds, Inc. at the National Association of Music Merchants show (NAMM 2019) held at Anaheim, California. A multi-instrumentalist, Brian currently plays, records and teaches on piccolo, concert and alto flutes, sopranino, soprano, alto, tenor and baritone saxophones, clarinet and bass clarinet, 6 and 12 string acoustic and electric guitars, 6 string bass, guitar synthesizer, concert and tenor ukuleles, slide dobro, lap steel and pedal steel guitar. As a composer and performer, his music has qualified for inclusion in the official ballot of the Grammy Awards, USA. A long term recording artist, Brian's pedal steel guitar playing was first featured on an album recorded at Tamworth, Australia in 1978 titled 'Steel Guitars of Australia Live'. This album showcased the legendary Jerry Byrd on steel guitar, along with a host of Australian artists. 1999, Brian became the first Australian musician to be given the honour of a full album release on the prestigious New York label, Music Minus One. The tenor sax feature album, 'Sinatra, Sax & Swing' further won Best Instrumental Album at the 2000 Sunnie Recording Awards – Australia's then longest running, non-sales based recording awards. This album remains available internationally and was recently reissued in a revised format by the Hal Leonard Corporation, the largest sheet music publisher globally. Brian's playing and compositions have been featured as soundtrack material on the Channel 7, 9 and SBS television networks, and the MMM, Austereo and ABC radio networks in Australia. His music continues to be broadcast in various countries internationally. Music education remains a driving motivation for the artist's continued involvement in the music industry. Brian operates a professional teaching studio at Gympie, Queensland, Australia. The studio is located less than 60 kms north of Noosa on the Sunshine Coast - one of Australia's premier tourist destinations. Internet lessons (online using Skype) are available by arrangement for students across Australia and Internationally. Please contact Brian for further information about a full range of education options available covering all aspects of jazz improvisation, composition and instrumental technique across a variety of instruments and music styles. 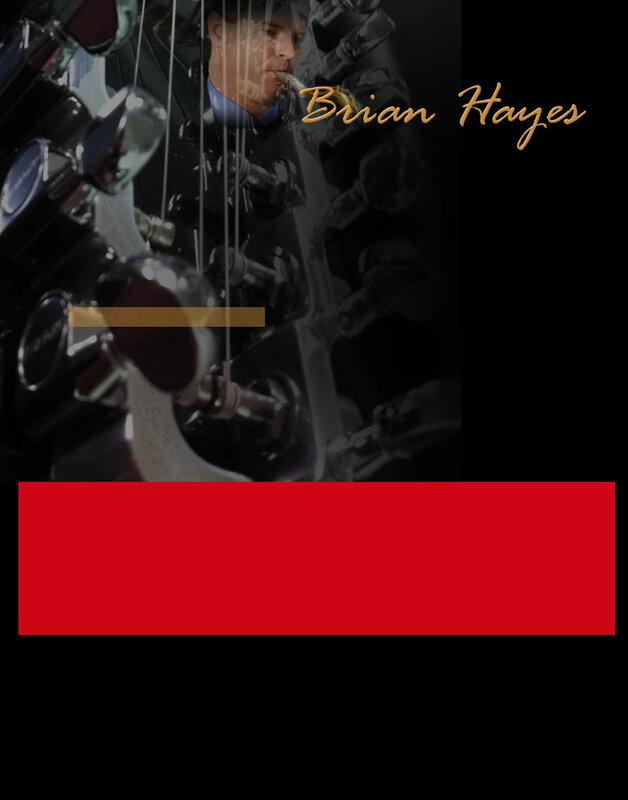 Brian Hayes instrumentalist, teacher, educator, tuition, music tuition, music lessons for Gympie and surrounding areas. Music lessons online via skype for all areas of Australia & internationally. 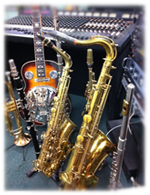 Specialising in flute, sax, saxophone, clarinet, guitar, pedal steel guitar, bass, dobro, clarinet, recording technology and jazz improvisation.